Mr. James Nichols sitting at the organ. 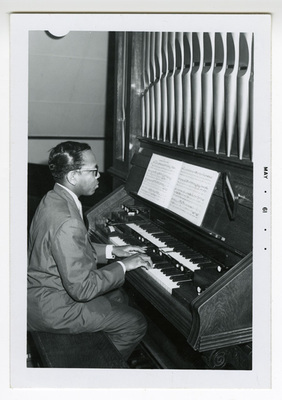 Back labeled, "Mr. James Nichols Organist & Choir Director". "Praise Be To God".